Fall Gourmet Berries is rated 5.0 out of 5 by 1. Rated 5 out of 5 by beemer533i from Stunning Flavor These are the best! Delicious fruit overtime and the chocolate is amazing too! Celebrate the season with these exquisite, oversized strawberries! 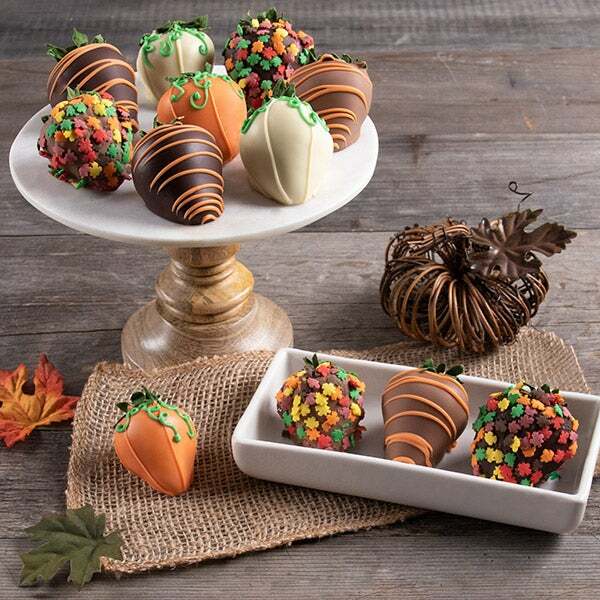 We've dipped each irresistibly fresh fruit into a bath of rich, silky imported Belgian chocolate and then elegantly embellished each with a sweet confection drizzle and festive fall candies!